Ristorante da Valentino, an Italian restaurant located on the 11th floor of MD Place building, Setiabudi area, South Jakarta. 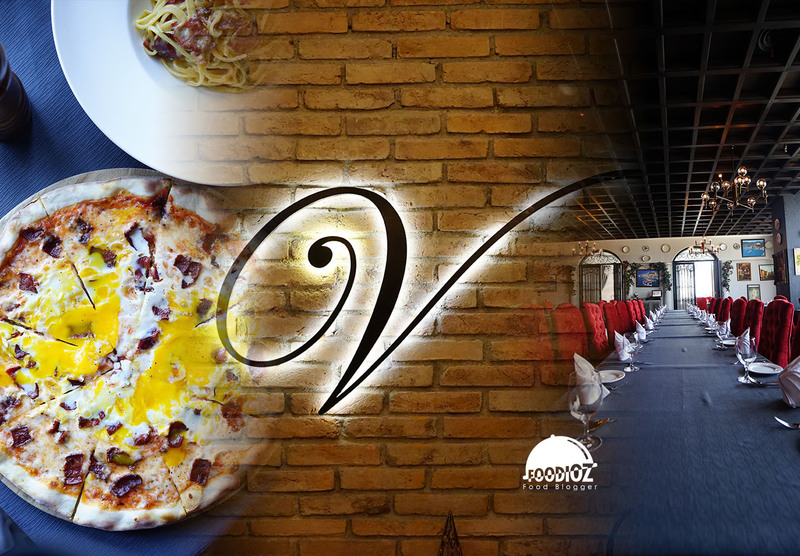 This restaurant is a branch from Singapore that has been established since 2015 by Chef Valentino. 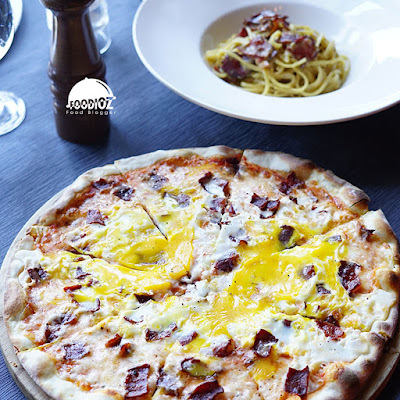 In order to maintain the quality of Ristorante da Valentino similar to that in Singapore, kitchen management in Jakarta is managed by Chef Marco, who is a cousin of Chef Valentino himself. With the entire 11th floor being the place for this restaurant, it can be said this place is very spacious with a very comfortable atmosphere. 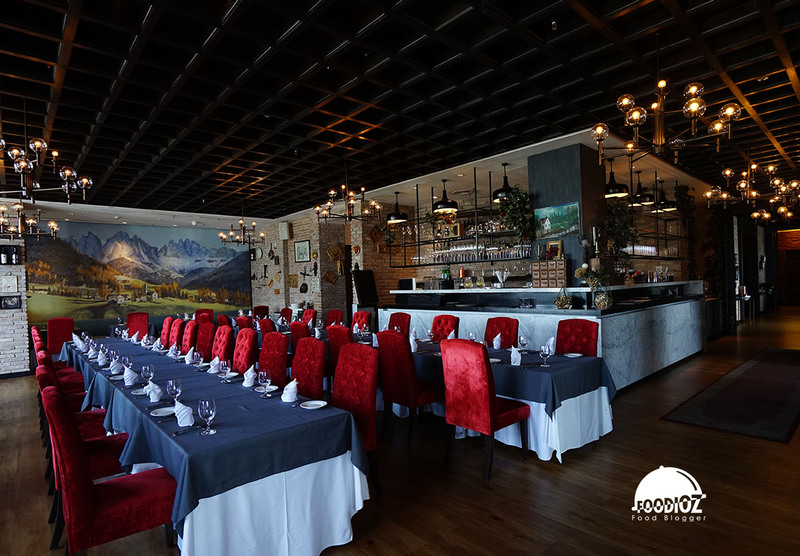 In addition to the spacious public dining area, this restaurant also provides 2 VIP rooms with a capacity of 20 people and 1 lounge area that can be used for special events such as birthday party or other occasion. 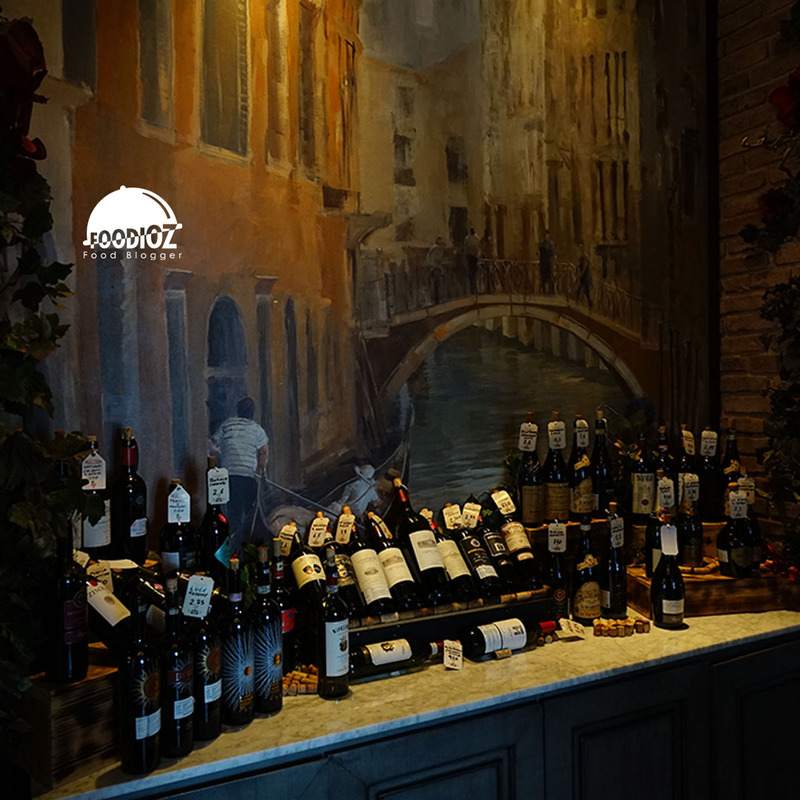 Entering this restaurant, from the front already greeted by Italian style with a design interior that looks elegant and luxurious. There is also a bar table with some comfortable sofas to hang out or chill down. 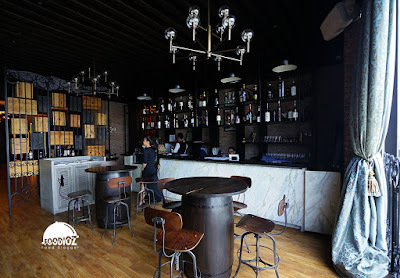 The left wing is a lounge area and wine storage that has a large collection. The VIP room and the public dining area are located in the right wing with dominant red decorations and crystal lamp also long tables that look beautiful. The atmosphere is very comfortable feels complete with views of the city of Jakarta that can be enjoyed from any part of the restaurant. This time, I had the opportunity to try the various menus available here. Starting from the a la carte menu, business lunch package and lunch party menu. 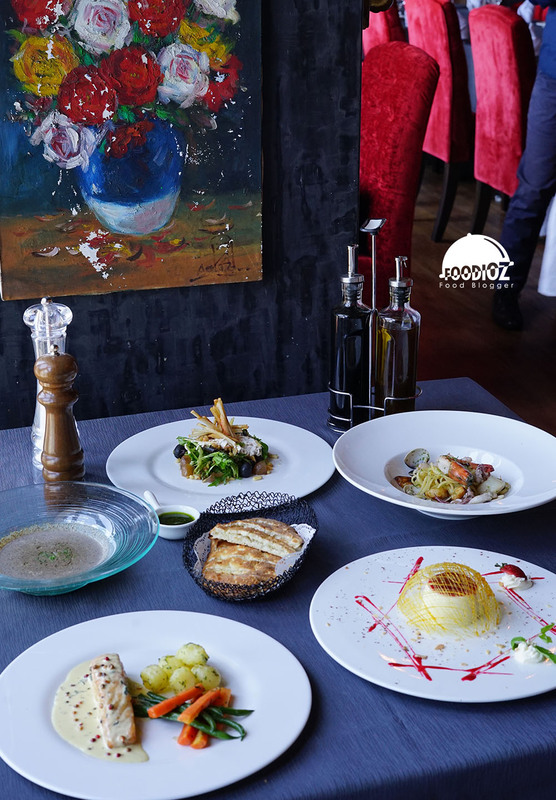 For this package, customer can get 1 set lunch with 3 courses in several choices, starting from Antipasti (Appetizer), Primi Piatti (Main Course) and Dolce (Dessert). For this menu can be ordered from 1 to 10 pax. For groups of more than 10 pax, recommended to choose this package. Where customers can get 1 lunch set with 5 courses menu. Starting from Antipasti (Insalata Di Bormio), Soup (Zuppa al Funghi Porcini), Pasta (Linguini Aglio Olio Al Frutti Di Mare), Pesce (Salmone al Pepe Rosa) and Dolce (Panna Cotta). In terms of value, Business Lunch and Lunch Party Menu I think best suited to be an option. Especially want to enjoy several types of food at once. But if you want dinner or eat a la carte, there are some menu options that i think splendid to try. There are 2 Appetizers to start. The first is Insalata in Bormio. 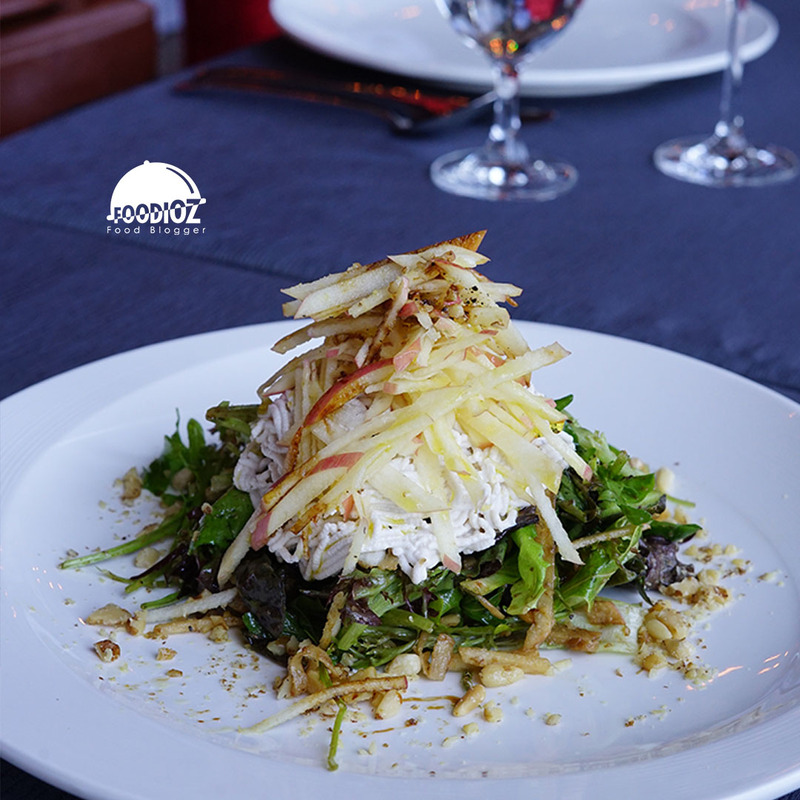 Traditional salads from Northern Italy are served with apple, pine nuts, walnuts, black olives and cipolini. It taste very fresh, perfect as a starter and increase appetite, this menu is also a Vegetarian menu. 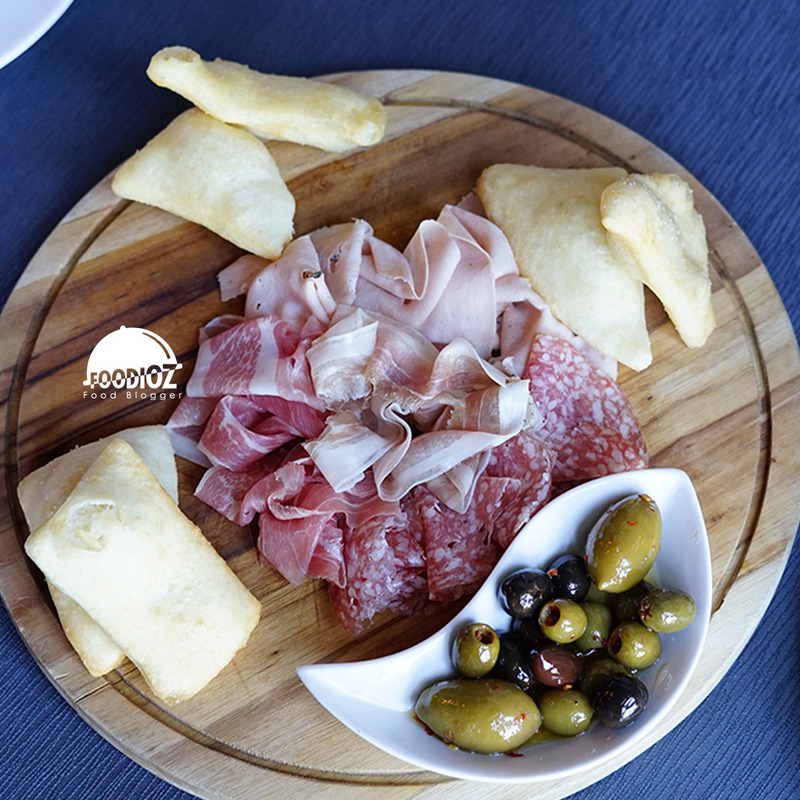 Another option, Affettati Misti, Cold Cut platter of soprasatta, salami, pancetta and mortadella ham. This starter with a more savory taste and also contains pork taste really good. Bismark Pizza, a classic Italian pizza with Crispy Pork Bacon & Soft Half-Cooked Egg. It's tasty, with a crunchy pizza edge and a sweet delicious aroma. 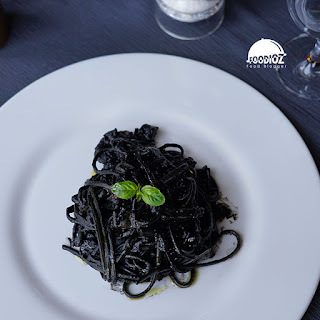 Favorite pasta choices fall to Linguini Al Nero In Seppia, pasta linguini with squid ink sauce and chopped squid. It is al dente paste coupled with the right squid cooked, is a perfect combination. Again my choice on the menu with pork, Braciola Di Maiale. 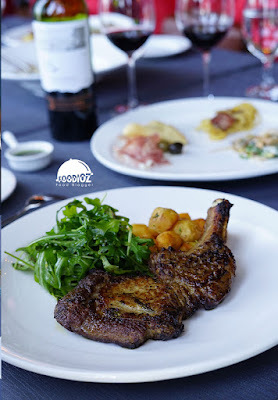 The Iberico pork chop is marinated with mustard and served with an arugula salad and baby potato. The level of doneness that fits with the texture of pork is still very tender and taste delicious. 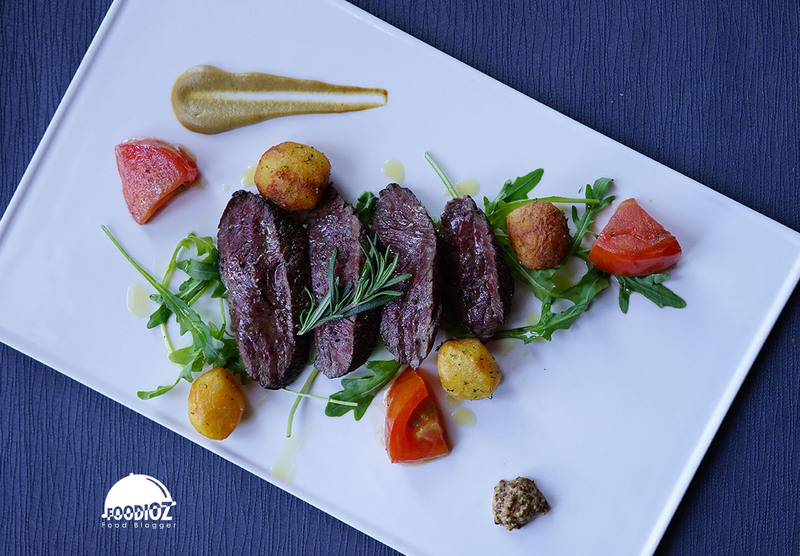 Halal menu choice is Tagliata Di Manzo, wagyu steak cooked with medium rare level yields a very juicy and melted meat texture in the mouth. 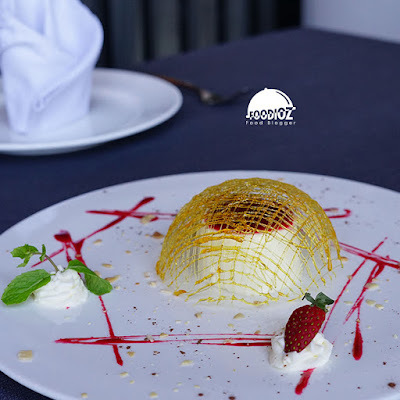 Panna Cotta, a must-try dessert. Her amazingly beautiful presentation makes it a precious to eat. The texture of Vanilla cream & Milk curd moist with a sweet taste that fits, served with a sweet and sour raspberry sauce. Overall, the experience of dining here is very satisfying. Starting from a very nice and comfortable place, the food is a beautiful presentation and good taste, the attention and good service will certainly be part of this restaurant. 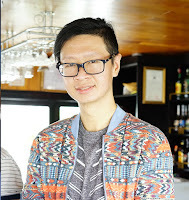 Teddy Selig He is an active food reviewer who lives in Jakarta. By emphasizing the overall concept of a restaurant from the atmosphere, the food to the service of a restaurant, Teddy certainly has a high standard in telling his experience. He also often travels to various places to explore a distinctive and interesting culinary. With years of experience, he certainly has quality photography and food reviews are quite expert.